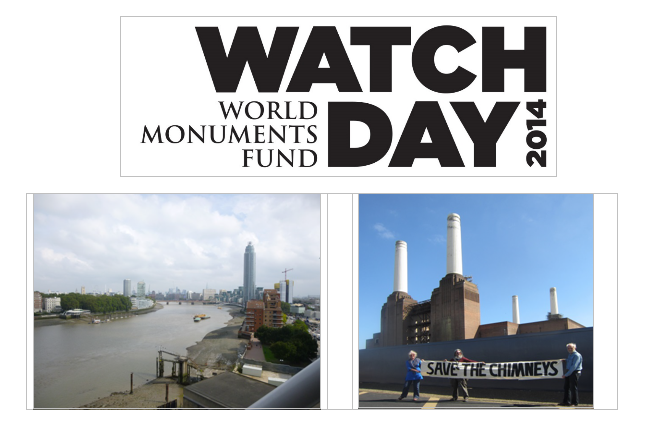 World monuments fund watch day 2014: Nine Elms architectural walk. Spectacle took part in the Nine Elms architectural walk – part of the World Monuments Fund Watch day 2014. Here is a short edit of the event. The watch day was launched by World Monuments Fund in 2012 to provide an opportunity for people to engage with their local communities and deepen their knowledge of local historic sites. The walk itinerary included Vauxhall and Nine Elms areas looking at sites such as the listed Brunswick House, Convent Garden Flower Market, Tideway Village riverboat community, Battersea Power Station, Battersea Dogs Home, the gas holder site and Battersea Park railway station. 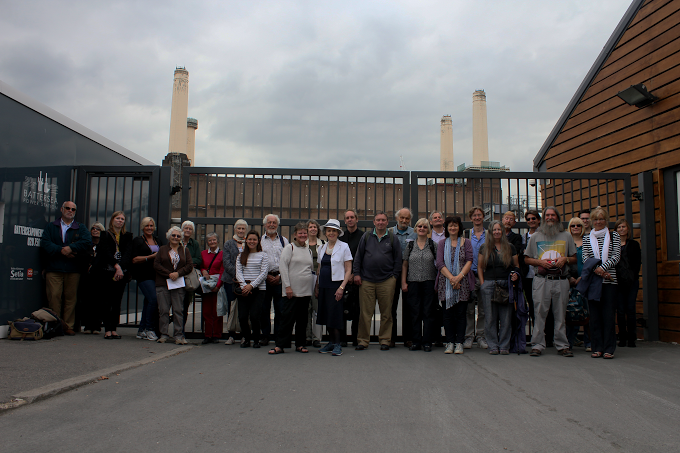 The walk was lead by Colin Thom of the Survey of London and had contributions from David Waterhouse (Tideway Village riverboat community), Stuart Tappin (Structural engineer), Brian Barnes (artist and founder member of Battersea Power Station Community group) and Keith Garner (architect). Lead by Colin Thom of the Survey of London. With contributions from David Waterhouse, Stuart Tappin, Brian Barnes MBE and Keith Garner. Saturday 27th September 2014. Meet 10.20 am Vauxhall bus garage (by No.87 bus stop) for 10.30 am departure. To book or for further information contact Sarah Meaker at World Monuments Fund Britain: sarah@wmf.org.uk 020 7251 8142. Bring packed lunch and sensible shoes. Please advise World Monuments Fund Britain on 020 7251 8142 if you have particular access or mobility requirements. 10.30 Depart and introductory talk by Colin Thom about the Vauxhall and Nine Elms area including the listed Brunswick House. 10.40 Covent Garden Flower Market (GMW 1974). Space frame structure using British Steel “Nodus” system. The building was recently given certificate of immunity from listing by English Heritage. Shortly to be demolished, so the last chance to visit. 11.10 River walk to see the “Thames Hippo” and changing skyline of London. 11.50 Riverlight housing development (Rogers Stirk Harbour + Partners) to see show flat with views of river Thames and London skyline. 12.45 Tideway Village riverboat community to meet David Waterhouse owner of The Newark. Tea & coffee will be served on the Newark and we will eat our packed lunches. 14.00 Battersea Power Station. (Gate 2 in Kirtling Street.) Colin Thom will talk about the history of the building. Stuart Tappin will discuss the demolition of the chimneys which has recently begun. NB: we will not be entering Battersea Power Station but the building is visible from the road. 14.45 Battersea Dogs Home to see cattery designed by Clough Williams-Ellis. We can see the cattery from Battersea Park Road. 15.00 Gas holder site to see the collection of gas holders. These were also recently given certificate of immunity from listing and are being demolished. The “MAN” gas holder is a German design and is contemporary with Battersea Power Station. The MAN gas holder at Oberhausen in the Ruhr has been reused as an arts space. 15.30 Walk ends at Battersea Park railway station. Grade II listed Italianate station. NB: times are approximate and may be subject to change. We do not have access to Battersea Power Station or the gas holders site. Colin Thom is an architectural historian working with the Survey of London, formerly at English Heritage and now with University College London. He was co-author of the recently published Battersea volumes of the Survey of London. Stuart Tappin is an independent consulting engineer specialising in the conservation of historic buildings He is a founder of Stand Consulting Engineers. He is a member of the architectural advisory panel of World Monuments Fund Britain. David Waterhouse has lived at Tideway Dock for 14 years and created the community now known as Tideway Village. He runs a houseboat business in London and has a small mountain hotel high in the Alps. His love of boats started when he worked for three years on Square Rig sailing ships. He spends his time between London and Switzerland. Brian Barnes MBE is an artist and mural painted based in Battersea. He was a founder member of Battersea Power Station Community Group in 1983. Keith Garner is an architect based in Battersea, working on the conservation of historic buildings and landscapes. He is also interested in making buildings more accessible. Screening of the documentaries The Truth Lies in Rostock and Despite the Sun are schedule for the ASA14 Decennial: Anthropology and Enlightenment conference running on Saturday 21 June and Sunday 22 June in the city of Edinburgh. Both films, Despite the Sun (1986), an investigation into the year-long dispute, which shook the print industry, and The Truth Lies in Rostock (1993), one of the rare documents about the riots in Rostock-Lichtenhagen in August 1992, will be shown on Saturday 21 as part of the film programme ‘The truth of memory and the fiction of history: the politics of representation at the interface of anthropology, art and film making’. Furthermore, there will be a third screening of Spectres (2011), a film essay by Sven Augustijnen that explains one of the darkest pages in the colonial history of the Belgian Congo, around 1960. 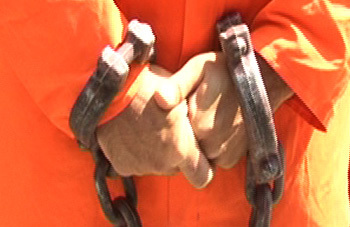 This film session focuses on recent anthropological works that have argued that standard anthropological accounts can be inadequate to engage with contemporary socio-economic and political transformations. In questioning standard ethnographic practices, anthropologists have started to explore the relationship between facts and fictions, between truth and representation, and between individual and collaborative or collective projects. These new strands at the convergence between art, anthropology, history, film making and literature raise important issues concerning the limits of the production and representation of anthropological knowledge. This session aims to engage with these debates by presenting three films that in different ways respond to many of the wider conference themes. 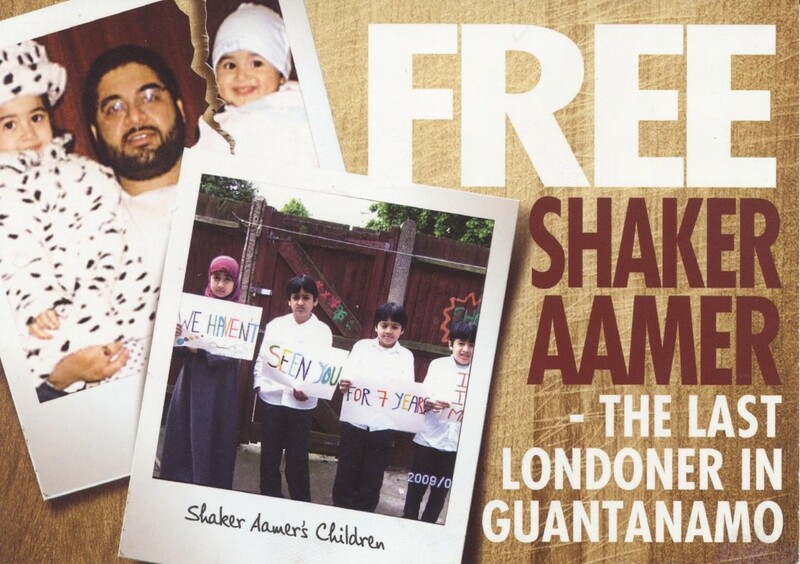 The screenings will be followed by a talk and discussion with Mark Saunders, film maker and director of Despite the Sun and co-director of The Truth Lies in Rostcok. All film sessions will take place in the Lecture Theatre of the Symposium Hall. See our Despite TV project pages for more information and videos.